Coach Chavis has been coaching and instructing punting and kicking specialists for the past 24 years. Doug has many years of experience as a football coach, from middle school to professional level. Doug graduated in 1985 from Troy High School in Troy, OH, and went on to play college at Ellsworth College in Iowa Falls, Iowa. Doug started his coaching career in his hometown where he coached at Troy High School from 1986- 1991. In 1989- 1995 Doug was a participant in Ray Pelfrey’s NFL trainee program. In 1991, Doug had the opportunity to sign with the NFL’s Los Angeles Raiders developmental squad as a punter. In 1992, he went to sign with the World League of American Football as a punter/kicker. This league was later names NFL Europe. From 1992- 2002 Doug was a coach for Ray Pelfrey’s Professional kicking camps across the country. 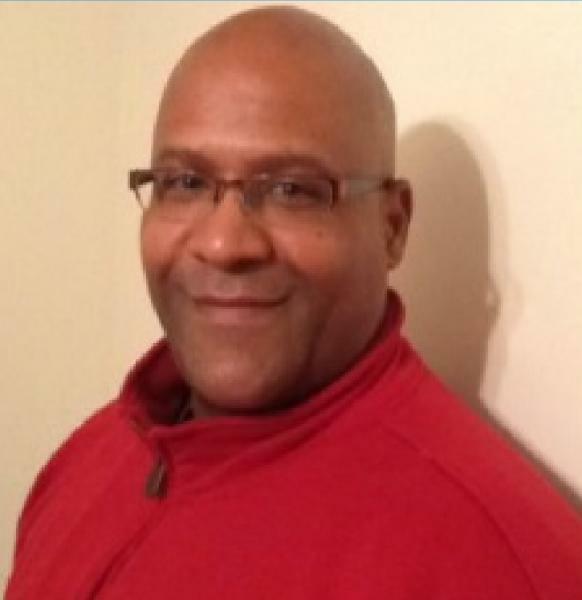 After settling in Columbus, OH in 2002, Doug offered private kicking and punting instruction to young men locally, Coach Chavis is the Owner/Director of Chavis’ Professional Punting and Kicking Services, LLC. In 2004, he became the Defensive Backs/ Special Teams coach for St. Charles Preparatory High School in Columbus. From 2010- 2013 Doug was an Assistant Special Teams coach at Central State University in Wilberforce, OH. In 2011 Doug served as the Special Teams/ Defensive Backs coach with The Northern Kentucky River Monsters of the UIFL, Professional Indoor Football League. 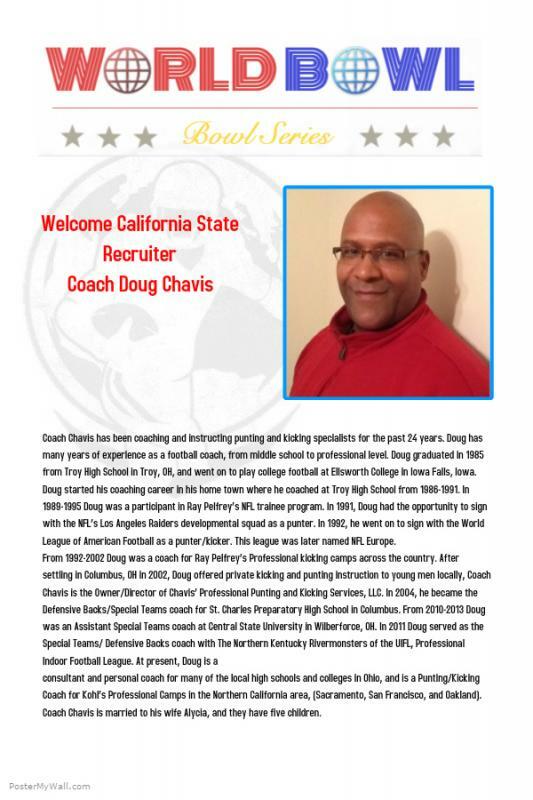 At present, Doug is a consultant and personal coach for many of the local high schools and colleges in Ohio, and is a Punting/ Kicking Coach for Kohl’s Professional Camps in the Northern California area (Sacramento, San Francisco, and Oakland). Coach Chavis is married to his wife Alycia, and they have five children.